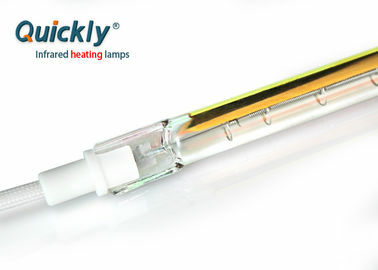 Short wave quartz infrared heaters are used in various industrial applications. 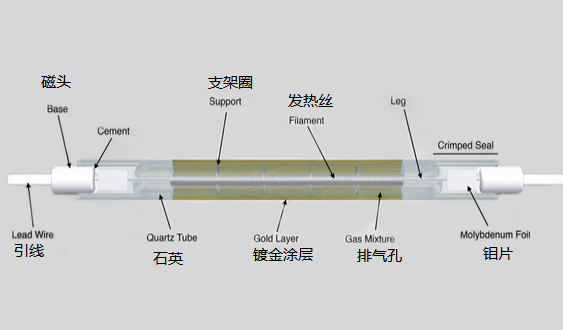 It contains tungsten filament, helically wound, encased in quartz envelope. Tungsten as resistive element is capable of generating temperature in excess of 2750℃. Its response time is very rapid in 1 second it emits over 90% of IR energy. It is by products free & pollution free. 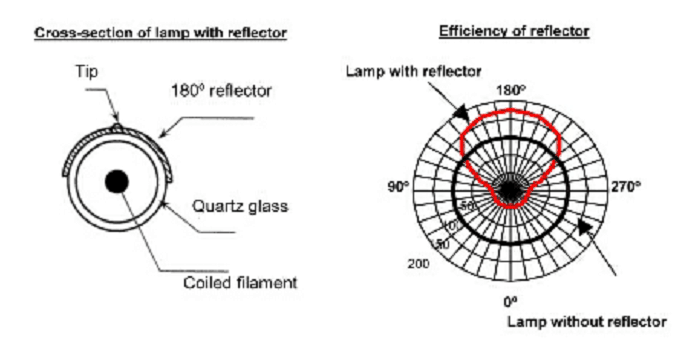 Heat focus is very accurate due to compact and narrow diameter of IR tubes. Short wave IR element has maximum heating rate of 100w/cm. 1.All of our emitters can be coated with a layer of gold or ceramic as reflectors. The gold/ ceramic coating can concentrate the heat, increasing the effectiveness of the heat output. 3.For the emitters with high watt density or the surface temperature of the tube above 800°C , we suggest to use ceramic coating as reflector because the temperature resistance is up to 1000°C . 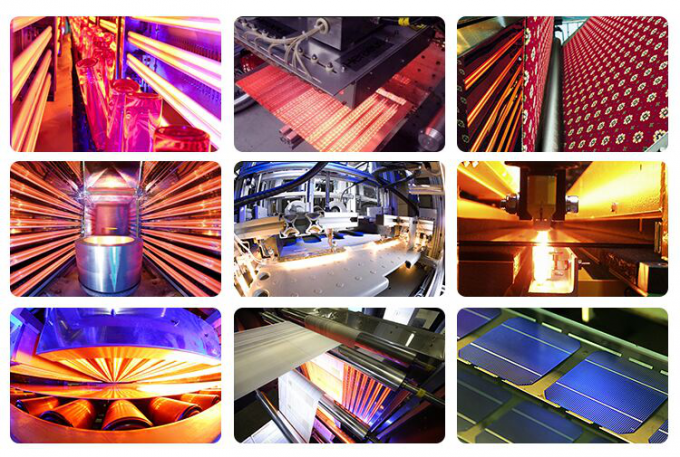 In addition to 180°(half-tube) coating, we also manufacture 270° coating or other customer specified degrees.